Since then, she has more than 8 million of subscribers on YouTube with a billion views and filled theaters all around the world. After several sold out dates in Paris, she returns with a new album Brave Enough, a concert for La Fête de l’Huma, the 9th of September and a France tour in 2017. UsofParis: Your new album Brave Enough is an album full of emotions. What was your state of mind a few days before the release? 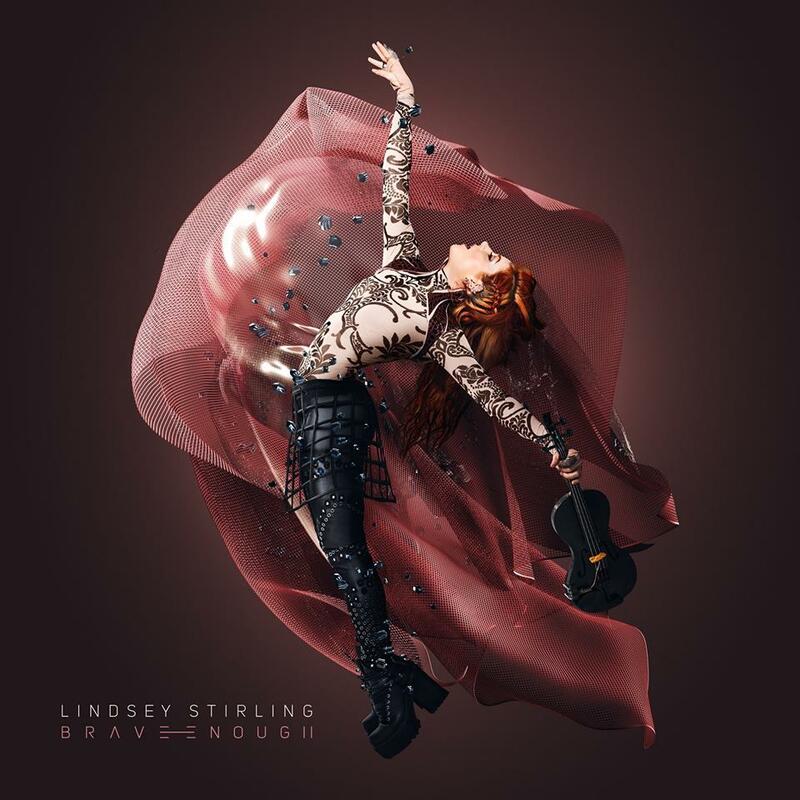 Lindsley Stirling: All kinds of emotions: Nervous, excited, scared, love the album… then I think the album is no good, then I love it again. I’m so glad it’s finally out. What is the best memory that you have about America’s Got Talent in 2010? I made some nice friends with the other contestants. Did your experience there open some doors for you? This is how I feel about America’s Got talent. It was Horrible; the single most Humiliating moment of my life. After I got kicked off the show, no doors opened for me, and the world forgot I had existed. My 15 seconds of fame had been just that… 15 seconds and then it was over. However after I got over the shame and fear of getting on a stage again (which was hard to do) I realized I wasn’t ready to give up. I had this inner strength telling me that I could do it and nothing anyone said was going to change my mind. To be honest I dont think to have that same inner strength any more but it was given to me when I needed it. I believe god gives us power when we are standing alone on a journey that we are meant for. My fear and hurt turned into extreme motivation. I wanted to prove America’s Got Talent, and Piers Morgan wrong. I’ve learned that any time you chase after your dream you are accepting the fact that you will fail at some point. People don’t succeed because they never failed, people succeed because they learn how to rise from their falls. 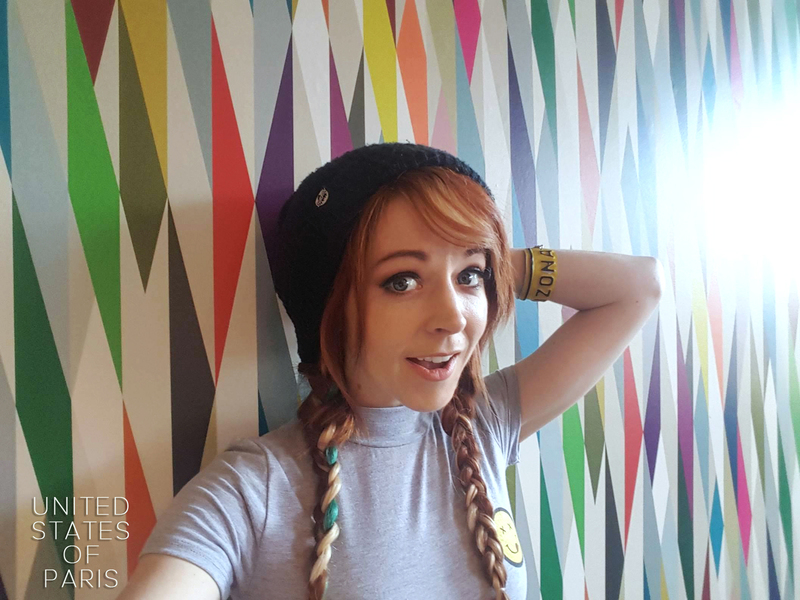 My career started to take off when I discovered Youtube. You have millions of views on YouTube! Is it easy to keep in touch with your community with the success and your tours? I do my best. I think touring helps because I get to meet my fans and see their faces. Also, I do my very best to show my fans the real me through social media. My instagram feed is full of silly pictures and non edited photos of me being me. I do my best to respond to their comments and like their pictures. I have so many amazing supporters that do so much for me that I feel like I could never do enough to thank them all but I do my best. Disney chose the song Something Wild to be on the soundtrack of Pete’s Dragon. I imagine that is something huge. How did you learn this good news and how did you feel when you heard about it? Disney approached me and asked me if I would be interested in seeing an early version of the film and writing a song for it. I have always wanted to work with Disney so this was a dream come true for me. When I found out that they liked it and wanted to use it I was exstatic and I immediately went out and got a chocolate milkshake to celebrate. Did you say yes without any hesitation? Have you seen the original movie? Yes, I grew up watching the original. If you had the opportunity to be writing music for another Disney’s movie, which one would it be? It would be one of the cartoon remakes like Aladdin. You’ve done a lot of featurings with a lot of artists. 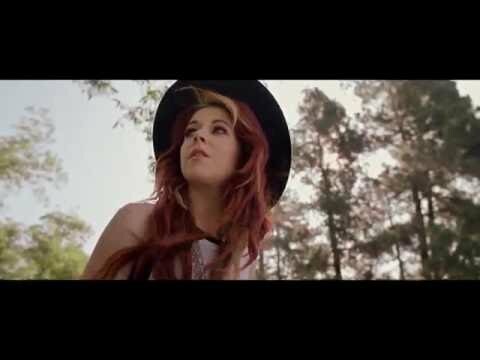 Is there any other artist you would like to collaborate with? You did a lot of shows in Paris. Do you have an anecdote, a funny story to share of something that happened here? We did a live song on the spot on stage one night. The audience was doing the “Olay, olay olay” chant and my key board player and drummer just started jamming along. I joined in and we had a fun jam session with the audience. Do you know a secret place (restaurant, street, shop) you love or is there anything unusual that you may like about Paris? I love l’As du Fallafel! 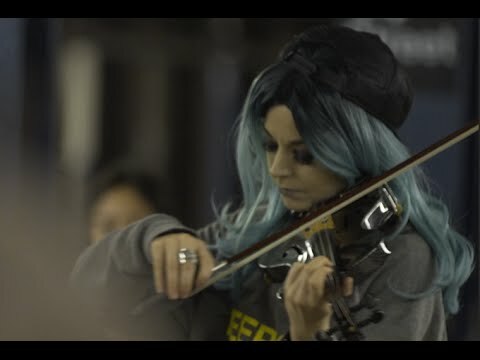 Have you ever thought about playing your music in the Parisian subway? That’s a fun idea. Maybe I’ll do that. You have a big fan base in France, do you have a message for them? All the time. My French Facebook fan group is amazing and I love them and hear from them. I have many french fans that I recognize there faces and I look forward to seeing them every time I come to France. They often even dress up in costumes from my music videos when they come to the shows. Who is your latest musical crush? Du Japon au Madison Square Garden, GiedRé en ITV selfie : #bonheur !